Colombian tour operator TuReserva.com organized the visit together with the destinations so they could experience their best attractions and create more sales in this South American country. Thirty-five travel agents from different cities in Colombia traveled to the Riviera Nayarit to explore its natural attractions and experience its first-class service and infrastructure. The group arrived in the destination on October 16, 2016 on a FAM trip organized by Colombian tour operator TuReserva.com in order to return to their travel agencies with all this new information and generate sales to the Destination. “I think this destination is super special, it’s people are so welcoming, the climate is spectacular, and the beaches are beyond my wildest dreams—you’d think because we’re on the Pacific you wouldn’t find such amazing beaches with such fine sand and warm water. You can’t find this just anywhere. I think the Riviera Nayarit is very special indeed,” said Diego Ariza, owner of TuReserva.com. “This morning we visited the Islas Marietas, in fact, we came here with the intention of seeing them so we could share that experience. We’re taking home with us a truly marvelous experience and we want to thank the Riviera Nayarit CVB for having welcomed us,” added Ariza. “You can tell the destination has worked hard for its tourism with excellent results. The hotels, the tours, there are many things that make it a great combination for family vacations. It definitely surpassed our expectations,” shared Erica Ruiz, Ariza’s wife and co-owner of the tour operator. “The fact that such an important Colombian wholesaler took the initiative of organizing a FAM trip of this magnitude to our destinations tells us there is true potential in this emerging market which we’ve been working for a long time with very good results,” said Marc Murphy, Managing Director of the Riviera Nayarit Convention and Visitors Bureau. The tour operator worked for two months coordinating this group visit with Rafael Moreno, the representative for the Riviera Nayarit and Puerto Vallarta in Colombia. 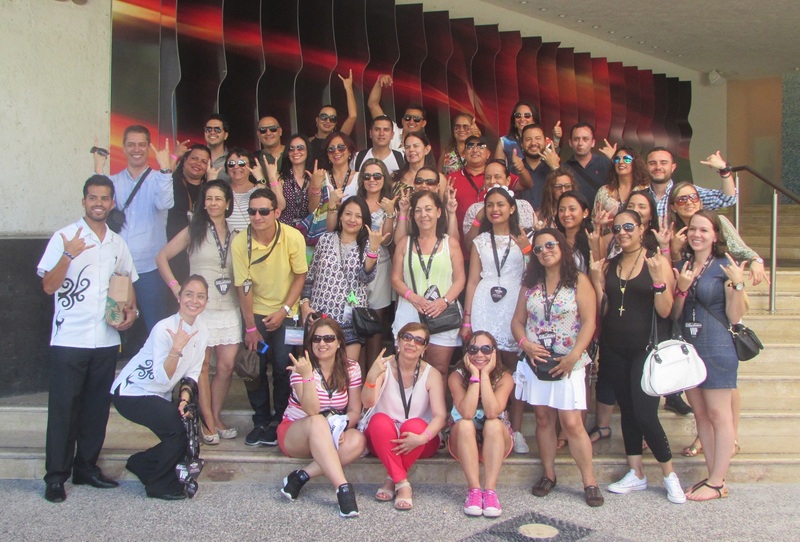 After their activities in the Riviera Nayarit, the Colombian agents traveled to Puerto Vallarta to continue to enjoy their stay.